Loot Looks Lolla DIY: Levi’s Cutoffs – LollaPLUza! Hey hey, Em here! Here’s a follow-up to my Goodwill Outlet post earlier this week. I found an old, black pair of Levis at the Outlet and thought it’d be a great opportunity to showcase how easy and affordable it is to customize your own cut-off shorts for Lolla, music fests, summer, or whatever occasion (rock it with tights, perhaps?). Now, I’m not much of a crafty person, but I find this DIY simple, quick, and personal. 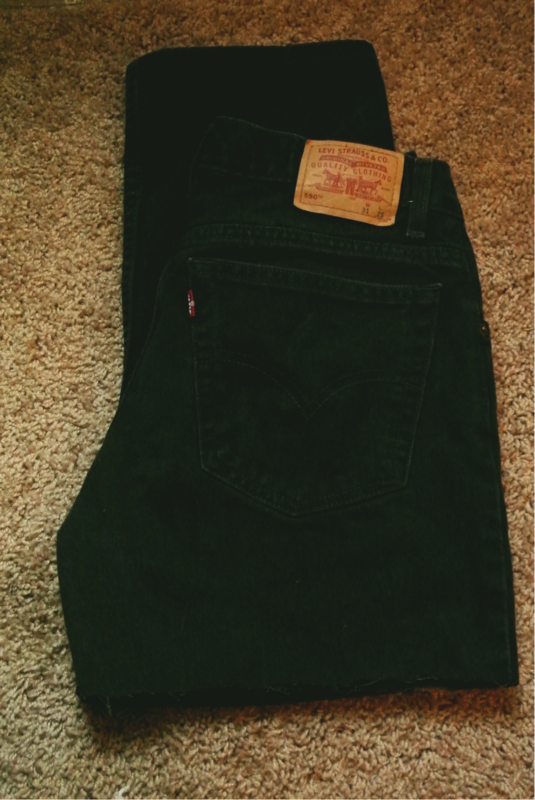 You will want to use your ruler or a straight surface (I used a book) to help align where you’d like to cut your jeans. I added a slight angle, but do what you find most suitable. If you’re not so sharp with cutting a straight line or want to be more precise, try using a fabric pen or marker. Pro-tip: You cannot undo a cut that is too short, so take your time and try on as you go. Cut across the first leg according to the line or length that you have marked. Fold over the recently cut side over the uncut denim leg and use that as a guide to cut the other leg so both sides are equal and accurate in length. If you’d like, you may cuff the shorts (as pictured with mine). If you’re extra fancy and want to distress your shorts, use a blade to scrape away patches of denim. And if you’re feeling especially rebellious, try using a Q-Tip and bleach to add a well-worn, summery look to the shorts. 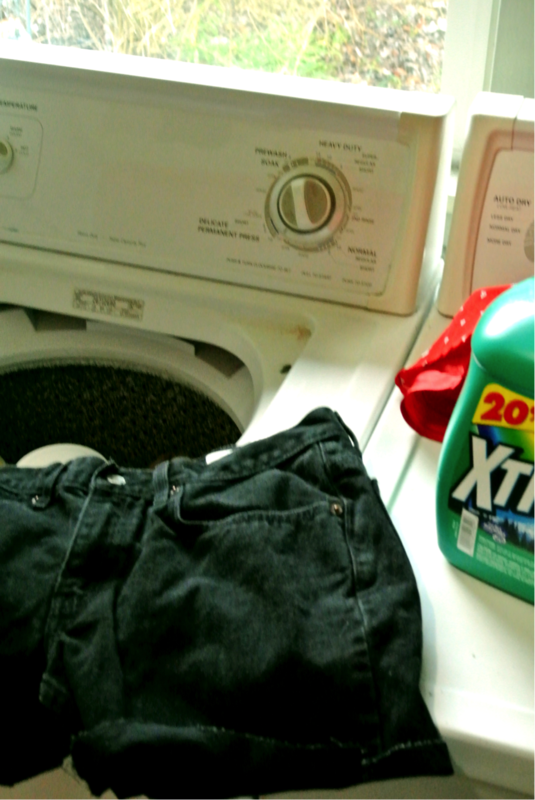 Lastly, throw your freshly cut denim shorts into the washer and dryer to complete the process. And there you have it. I hope you can find some time this week to create your own personalized, DIY look for Lolla. If not, I hope to see you at our DIY event on Friday (tomorrow) at 7pm!